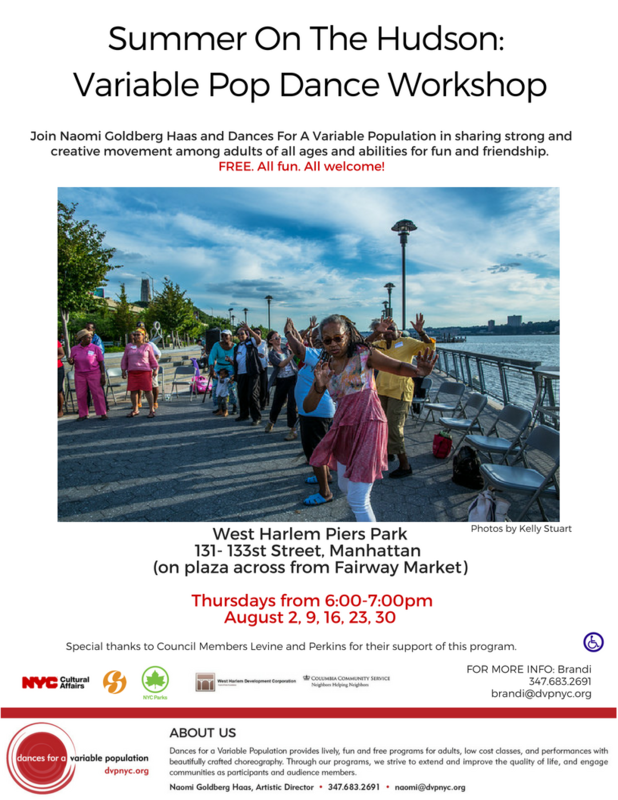 Join us at West Harlem Piers Park! For rain cancellations we will let you know by 2 hours prior start time to event. Today Wednesday, June 13 for the 7:30 dress, we will let audiences know by 5:30 if cancelled. Shirley Black-Brown-Coward is a graduate of The Julliard School and an award-winning performing artist of classical and modern, Broadway and liturgical dance. She is a Master Teacher and received an Audelco Award (Best Off-Broadway Choreographer) for BLACK NATIVITY by Langston Hughes. Ellen Graff danced with the Martha Graham Company, appearing in New York, and touring internationally. She has performed in Broadway musicals and was a longtime regular on The Carol Burnett Show. Graff has taught at colleges and universities across the country, and has a PhD in Performance Studies. Elizabeth Keen makes dances for the concert stage, as well as for theater and opera. As a dancer she performed with the Paul Taylor Company and The Helen Tamers-Daniel Nagrin Company. She choreographed many dances for her own group, The Elizabeth Keen Dance Company. Theater and opera credits include SALOME (Covent Garden, and L.A. Opera) and CARMEN (The Met). She presently teaches in the Fordham Ailey BFA Program and at Marymount Manhattan. Marni Thomas Wood danced with the Martha Graham Company in 1958, performing and teaching for Graham until invited in 1968 with husband/partner, David Wood, to establish the Dance Major at UC Berkeley. She served as Director of the Graham School and currently teaches there and at Adelphi University. Alice Teirstein multiple award-winning dancer, educator and choreographer and recipient of a Bessie in 2012 and two lifetime achievement awards in 2015. She is the founding director of the Young Dancemakers Company – a nonprofit teen touring ensemble featuring choreography by NYC teens. Audrey Hubbard Madison has been a teacher, dancer, and choreographer since she was a teenager, working in various dance forums around the tri- state area. She was an original member of the Charles Moore Dance Theater and has toured the Caribbean and the United States. Inspired by the dedicated members of her modern jazz class, Audrey founded her company, MoJazz Dance. She retired from New York City Department of Education after thirty-six years of service. Myna Majors studied with the legendary Baba Chuck Davis (who recently transitioned), is a former Member of The Titos Sompa Dance Troupe, The Legendary Baba Olatunji Drum and Dancers, and Bernard Dove and The Dovetts. For the last 11 years, she has been a proud dancer with The WNBA N.Y. Liberty Timeless Torches. 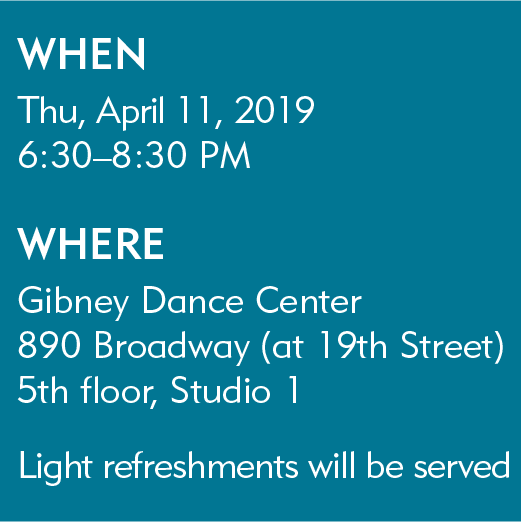 Watch Shirley Black Brown Coward (Broadway, George Faison Universal Dance Theater) begin creation of a new dance at the Central Harlem Senior Center! Shaking up social dances of the 20th Century! So honored she is one of our 2018 REVIVAL 2 choreographers! 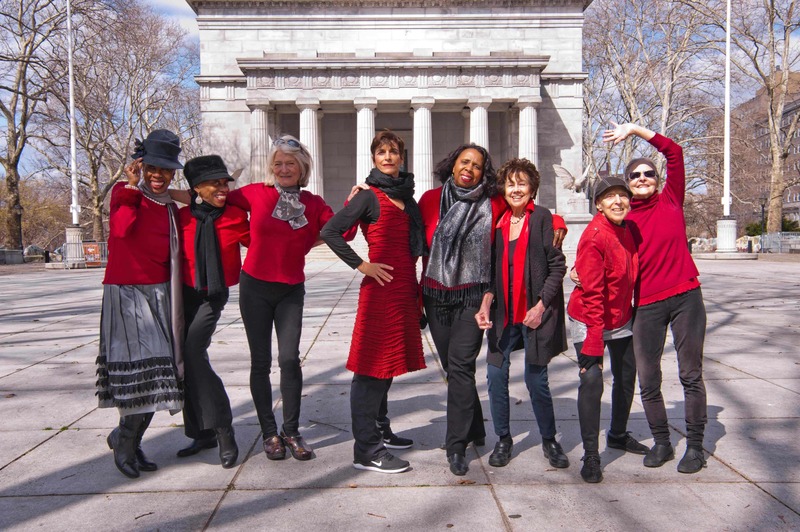 Phyllis Lamhut, guest artist for MOVEMENT SPEAKS® class! 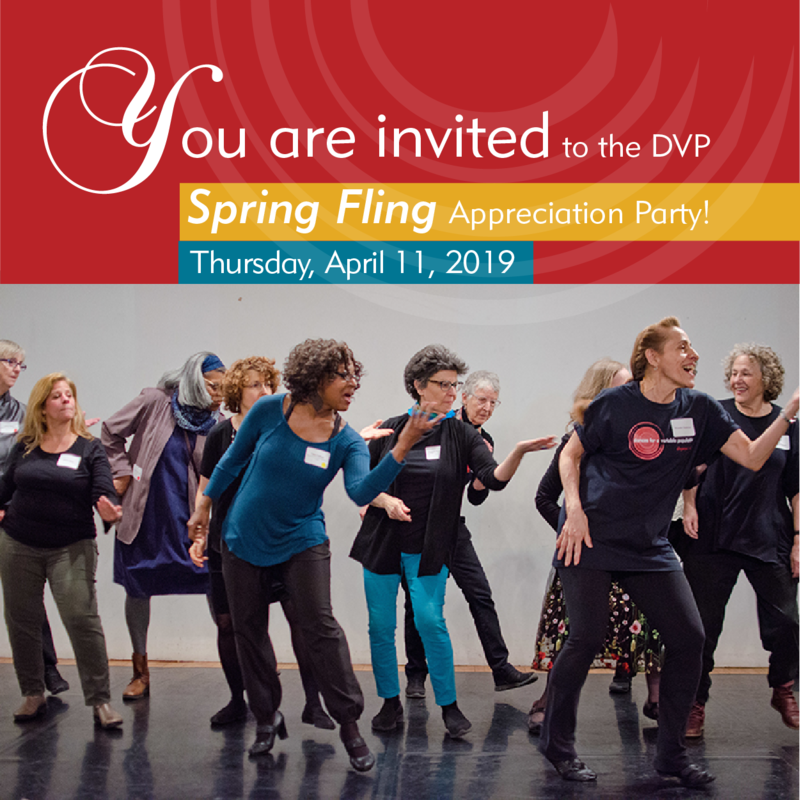 See wonderful video of legend Phyllis Lamhut (current faculty, Tisch School of the Arts; formerly Phyllis Lamhut Dance Company; formerly Alwin Nikolais and Murray Louis Dance Companies) at the George Bruce Library April 6 class teaching a guest session in DVP’s MOVEMENT SPEAKS class! She shares improvisation and life! REVIVAL 2 Guest Artists Rehearsals! Saturday, June 16 at 5pm & 7pm on Grant’s Tomb Plaza. If you are interested in working with one of the artists listed below, please review the dates and come to rehearsals. 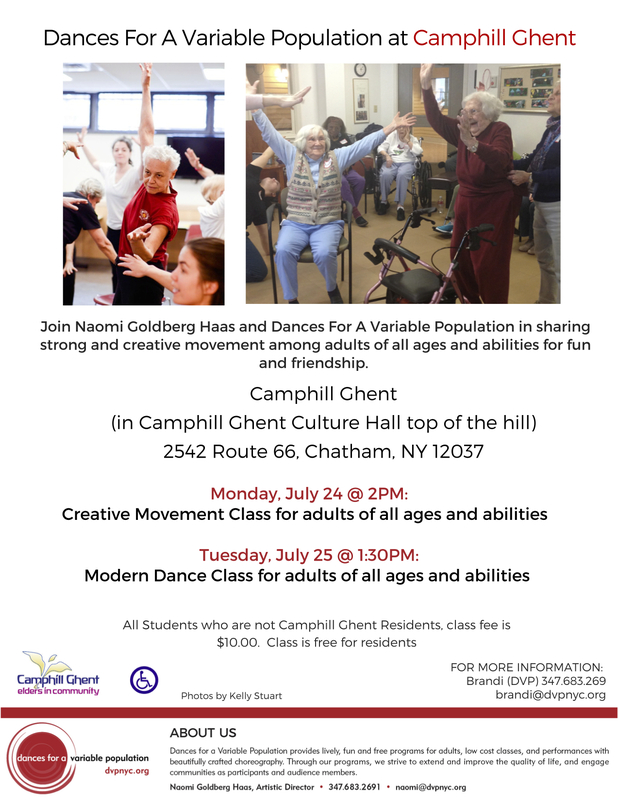 For more information, contact Naomi Goldberg Haas 347-683-2691. Marnie Thomas Wood and Ellen Graff – 2018 guest artists for REVIVAL 2 teaching ideas! teaching some first ideas for REVIVAL 2 happening at Queensbridge Park, June 9 and Grant’s Memorial Tomb, June 16!